In JO305 you will learn basic photography, file management, image processing, and publishing.You will learn the difference between constructed and unconstructed images and the ethics of documentary work. Teamwork is essential in this course to create a strong learning environment. You will work with a partner and other classmates on field trips, to complete assignments, and to get help editing from fresh eyes. Teamwork will also create a safer environment as we use Boston as our classroom. Throughout this course we will focus on areas of aesthetics, light and moment and complete a number of exercises to strengthen photo technique and prepare for documentary challenges to capture a sense of place, to document the famous and to define the world around us by creating compelling photographs. The 10 shooting assignments in JO305 cover portraiture, motion, depth-of-field, hot-shoe flash, night photography color, and you will photograph a famous person, shoot a selfie, produce a 10 picture photo essay and create a blog. JO305 covers the basics of Lightroom and WordPress. We will also cover digital hygiene, nondestructive editing, color correction, image toning, sharpening, tagging, caption writing and understanding resolution. Photoshop tools may not be used in this class to alter the meaning of an image. Cropping is not allowed. Students will upload assignments to the class Smugmug account. Photo equipment is available for your use but it is recommended that students have their own DSLR camera if possible, storage card (minimum 32 gig) a 50mm lens or a zoom lens that can be set to 50mm. Students are required to have a USB3 hard drive. A camera will not be needed until the second class. There are handouts available for all assignments. We will cover camera settings and operation, exposure, filing system and digital hygiene. Portraits: Shooting Assignment 1 – Photograph face of an individual (a) in bright sunlight, (b) on a cloudy day. Bring CF or SD card, external hard drive and camera to class. We will review camera settings and camera light meter. Images from assignment 1, Portraits are DUE and must be uploaded by the end of class. Focus, shooting assignment 2: Choose a general scene with infinite distance apparent in background with a person 8 feet from the camera. Shoot at (a) 1/1000 with wide aperture, also shoot at (b) f/16 with slower shutter speed. 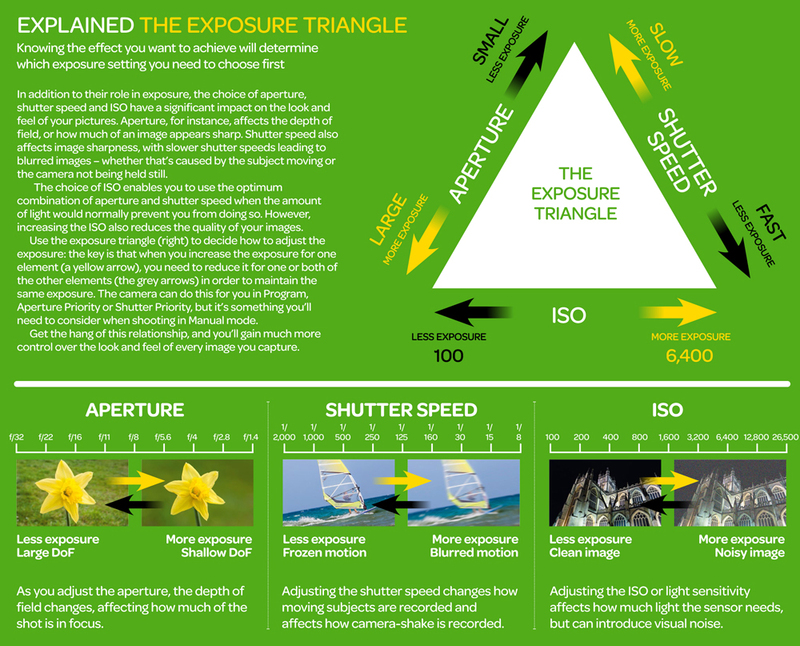 Use your camera’s meter for correct exposure. Images from assignment 2, Focus are DUE. Creative shutter, Assignment 3, Photograph Stop Action and Panning. Images from assignment 3, Creative Shutter are DUE. Turn in 3 of 5 examples of flash technique: (a) two heads using direct flash, (b) fill-flash with direct flash, (c) bounce flash portrait, (d) open flash, direct and not synchronized, and (e) a group of ten people. Images from assignment 4, Flash! are DUE. (a) incident light and (b) reflected light (tripod required). Images from assignment 5, Night are DUE. Silhouette: shooting assignments 6: Photograph silhouette, a backlit subject, set exposure using meter for the bright background. Images from assignment 6, silhouette are DUE. Shoot a photo with strong color contrast and process that image three ways – as b+w, as b+w with a filter and as a color image. Second, using a daylight setting for your white balance, shoot photos with heavy overcast for blue light and sunset or sunrise for warm color. Use color to enhance mood of image. Images from assignment 7, Color are DUE. Self Portrait: shooting assignments 8 photograph a self-portrait (taken inside a building without a flash). Use light to your advantage for best grade. Images from assignment 8, self-portrait are DUE. Famous Person:Shooting assignment 9: Photograph a famous person who does not work for BU. Images from assignment 9, famous person are DUE. The Photo Essay: Shooting assignment Shoot a 10-picture photo essay. Grad students are required to shoot a ten-picture photo essay for publication. Assignment 10, Photo Essay is Due. Assignment 11, blog: Finish blog with two galleries and ‘about me’ page. The images should be uploaded to Smugmug and also presented as a gallery on your blog. This should be setup and maintained from the beginning of the semester. Proper tags and categories are required for posts (all assignments must be posted.) An ‘about me’ page and photo galleries are required. To do well in JO305 Basic Photo, students should show up fully prepared, homework completed, work filed on time and be fully engaged and ready to exceed class goals and expectations. Cellphone usage is disruptive and discourteous. For a better grade, please do not use during class. Class attendance is critical for success. Deadlines are non-negotiable – loss of a full grade for each week assignment is late. No credit is given for final project if deadline is missed. Unexcused absence will result in a deduction of points from final grade. If you are unwell, contact your professor to make arrangements to get caught up on material that you missed. Your partner will also be an important asset in helping you get caught up. Students must be familiar with college handbook and have a full understanding of expected code and conduct. The academic code of conduct is fully explained at: http://www.bu.edu/academics/academic-conduct-code/. Plagiarism is a particular concern in journalism so it is critically important to give attribution of original content and to get permission and give credit. Writing skills are an important component your assignments. Captions are required, Captions for constructed assignments will include who, where and when. Captions for assignments that are documentary in nature will also answer the questions: ‘what and why’. Grades are based on quality, content, and punctuality of work submitted. Late assignments lose one grade (A to B) for each week they are late. Assignments not turned in receive zero credit. The final grade is an average of all grades received during the semester. Assignments are DUE at the end of class. Technical (40%): Camera (exposure) settings and focus. Toning adjustments and sharpening. Blogs are graded on two galleries (best work and photo story); about me page; posts of all assignments, use of tags and categories. Above rubrics still apply. Shoot portraits, freeze action, create motion through panning technique, photograph incident and reflective light at night with a tripod, and use a flash. Produce well-toned, tagged images and publish them on their own blog. Produce well-framed, strongly composed images that are properly exposed with good use of lighting. Work at industry standards. Communicate with strong black and white photographs and be capable of producing a color image that is color corrected and has thoughtful use of color. Understand the broader concepts of photojournalism. Gain photographic visual literacy, with the ability to deconstruct how an image was created and to better understand a photographic manipulations, biases, and narrative. Develop a strong visual awareness and strong observational skills.